ISO/IEC 17025 Standards for the competence of testing and calibration laboratories, is the main ISO standard used for testing and calibration laboratories and is used worldwide, and is the same across the globe despite the different names that you may come across. Each country has their own entity authorized by ISO that manages the standards. What is the ISO/IEC 17025 General requirements for the competence of testing and calibration laboratories? ISO/IEC 17025 General requirements for the competence of testing and calibration laboratories is the fundamental ISO standard used for testing and calibration laboratories. ISO/IEC 17025 is used for most labs in major countries, and these labs must hold accreditation in order to be considered technically competent. ISO/IEC 17025 was originally known as ISO/IEC Guide 25, and was issued by ISO in 1999. Although there are many similarities to ISO 9001, ISO/IEC 17025 is specific to laboratories and has more requirements regarding competence applying directly to organizations that produce testing and calibration results. Initially released in 1999, the standard was revised in 2005 to better match ISO 9001:2000, and 12 years later was revised with ISO/IEC 17025:2017. Created by the International Organization for Standardization (ISO), ISO 17025:2017 abides by international requirements and guidelines. ISO/IEC 17025 has a list of set requirements with guidelines and information. Many organizations like to use the phrase ISO 17025 certified, but rather, what they mean is that they have met the requirements of the standard. 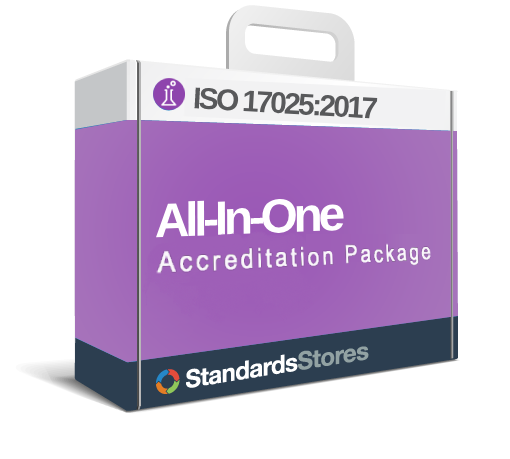 Read more about ISO/IEC 17025 Accreditation. The series is not industry specific and is applicable to any manufacturing, distribution or service organization. It is managed by Technical Committee (TC) 176, comprised of international members from many industries and backgrounds. What are the older (obsolete) ISO 17025 quality standards? ISO/IEC Guide 25 was the original competence of testing and calibration laboratories standard introduced in 1999. ISO/IEC 17025:2005 was introduced to better match ISO 9001:2005. ISO/IEC 17025:2017 was introduced 12 years older in order to keep up with the changing market and in general to comply with ISO 9001:2015.